This isn’t just a quote on the wall at LeagueApps, it is a foundational part of our mission to make sports happen. 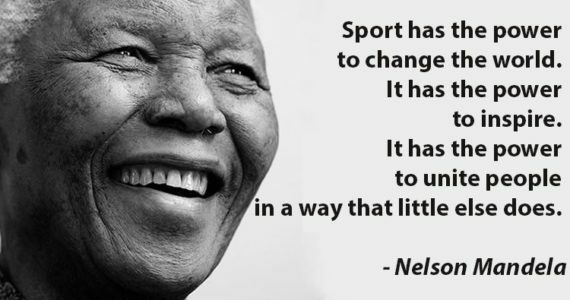 Everything we do is part of our goal to ensure that everyone everywhere has access to great sports experiences. To fulfill that mission, LeagueApps has launched FundPlay. FundPlay is a LeagueApps initiative and the actionable manifestation of LeagueApps’ mission to “make sports happen.” The goal is to provide opportunities for memorable sports experiences to children who don’t have access to the best sports and educational resources. FundPlay strives to make sports happen by partnering with like-minded 501(c)(3) organizations like Rally Cap Sports, Positive Coaching Alliance, and Volo City Kids. In fact, nearly 30% of all LeagueApps’ partners are non-profit organizations with 501(c)3 status. FundPlay was in part inspired by the great work that the Aspen Institute’s Sports & Society Program does through their Project Play initiative, providing leaders with the guidance to help build healthy communities through sport. There are three pillars that constitute FundPlay, and all will have a role to achieve positive change. 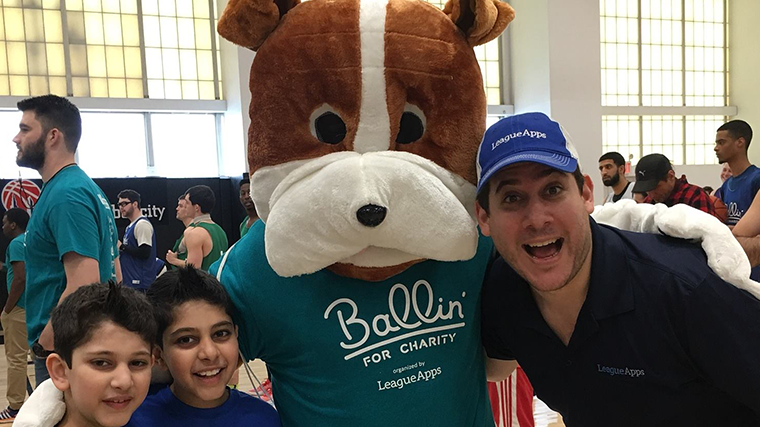 In 2016 and 2017, LeagueApps organized a charity basketball tournament called Ballin’ 4 Charity. The proceeds from the tournament went to FundPlay, which then made donations to mission-aligned youth sports organizations such as Positive Coaching Alliance. Proud to partner with @leagueapps for #BallinForCharity at Basketball City in NYC today. “FundPlay’s annual Ballin’ for Charity three-on-three tournament has raised pivotal funds for sport organizations in need, and we are just getting started. There’s nothing like getting the team together to put ourselves in the shoes of the partner’s we service, sport organizers,” said Launch Manager Stephanie Vera. FundPlay also connects mission-aligned organizations with LeagueApps employees for volunteering. The first volunteering effort was with the philanthropic arm of one of our partners, NYC Social, called Volo City Kids in Harlem. Volo City Kids removes the barriers to participation for those who need the opportunity the most by providing free, organized play within the community. Children that participate in Volo City programs are given structure and organized play with coaching from professional employees, like the volunteers from LeagueApps. Not only did the volunteers get to teach the young athletes some basketball, but they had a ton of fun doing it! With Fundplay’s software grant program, deserving 501(c)3 organizations will be given an opportunity to use the platform free of charge. Organizers will be able to leverage LeagueApps’ software and expertise in order to grow their organizations. The first recipient of a FundPlay software grant was a terrific organization doing great things in their community, Harlem Lacrosse. This Winter, HLers visited @leagueapps as part of our Career Exploration series and learn more on what makes a successful sport technology company. HLers love the #startuplife! The LeagueApps team is excited about the success of FundPlay and its growth in such a short time. Make sure to check back on this blog and on the FundPlay homepage for updates in the months to come! Click here to get involved with FundPlay today.